Almost 2 years ago I had this amazing fitting session with the guys from HIO-Fitting. Beside the game changing irons, woods, wedges and putter they fit for me, I was stoked by the great quality of the new grips. I was super happy with the quality of PureGrips. Two weeks ago I visited HIO again for some new grips because they received some neon colors. This time I decided to take a very colorful grip combination inspired by the CMYK color system for print colors. PureGrips with it´s huge range of colored grips made it really easy for me to realized this vision. My black gunmetal wedges from KZG became this super fresh lime colored grips. But the highlight are my fancy woods. They are already so cool with the bright colored shafts from Matrix. I choose some PureGrips in the matching color. They look outstanding. 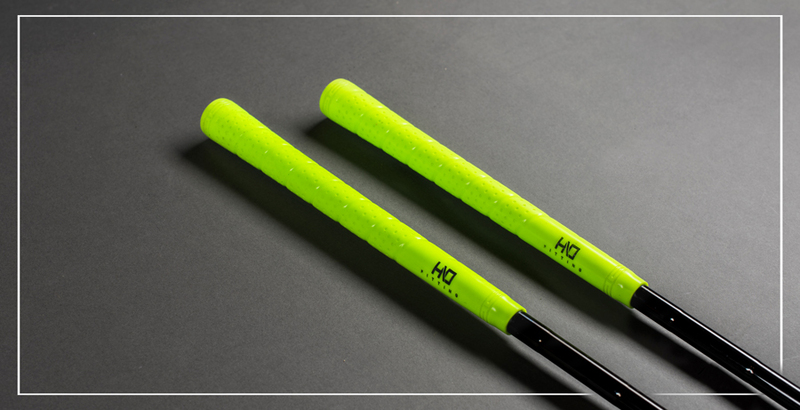 Beside this, Pure offers the possibility to personalize the grips with your own logo or brand. 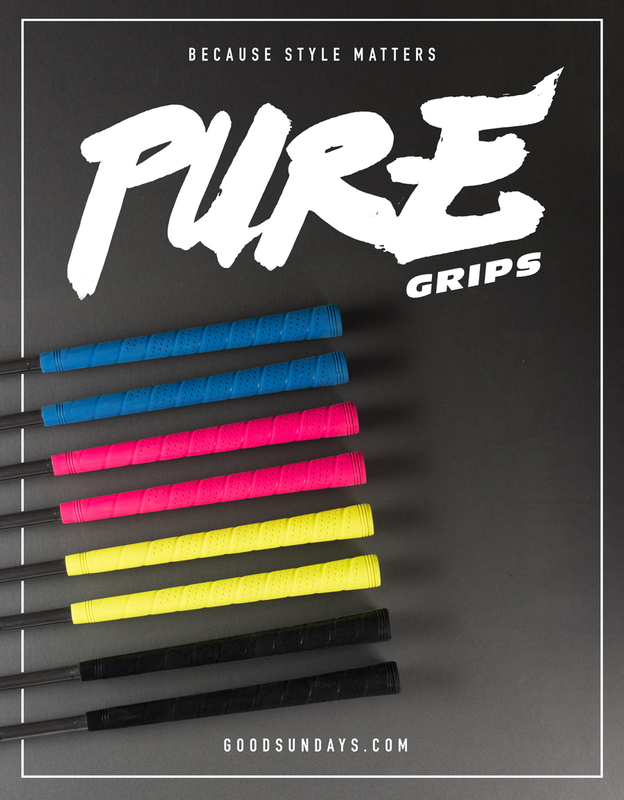 Pure is located in Phoenix Arizona and offers different models of grips in their product range from the classic iron grip to the big and heavy putter grip. In my case I choose the Wrap model because I like their classic design. And trust me – these are so damn sticky!! It really doesn`t matter if the weather is steamy, rainy or hot. They always work. 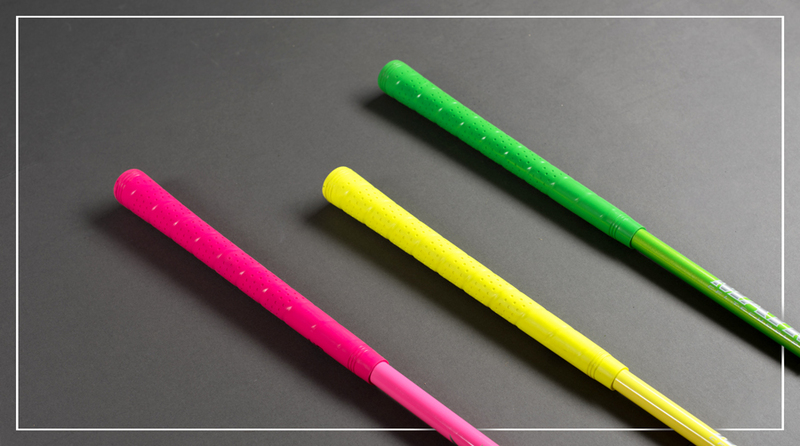 In addition to many others the abrasion of my PureGrips was minimal during the last two years- and I play a lot ;) So if you´re interested in a high performance grip and if you want to bring some color to your clubs, PureGrips is my recommendation. And always remember „Because style Matters“.